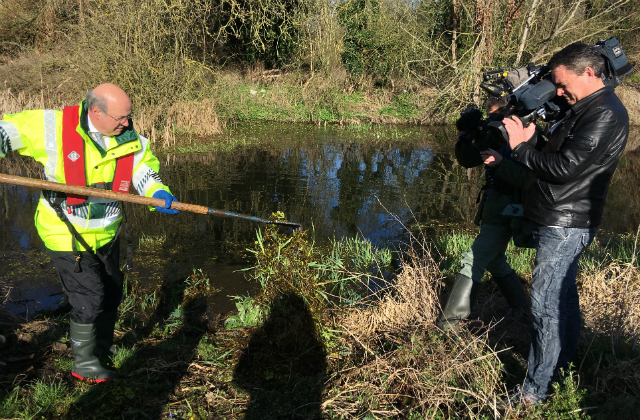 The Biosecurity Minister Lord Gardiner visited Little Britain lake near Hillingdon today (26 March) as part of Invasive Species Week. There has been coverage in the Daily Telegraph, The Sun, the i and Horticulture Week highlighting the problem of rapidly growing floating pennywort. Whilst there, Lord Gardiner helped to remove the invasive aquatic plant from the lake. Floating pennywort can have serious impacts for the wildlife as it will expand to cover the whole surface of a water body. Invasive species pose a real threat to our country’s native plants and animals and cost the economy at least £1.8 billion a year. The Check, Clean, Dry campaign is playing a key role in raising awareness of these threats – helping to prevent new arrivals and stopping the spread of invasive species already here. It is great to see the whole community of river users supporting this programme to protect the future of our precious native species. As well as following the Check, Clean, Dry advice, people can help by reporting sightings of invasive plants through the PlantTracker app. There was widespread speculation in this weekend’s newspapers, including on the front page of Saturday’s Daily Mail, that Environment Secretary Michael Gove will shortly announce a deposit return scheme (DRS) for plastic bottles in England. 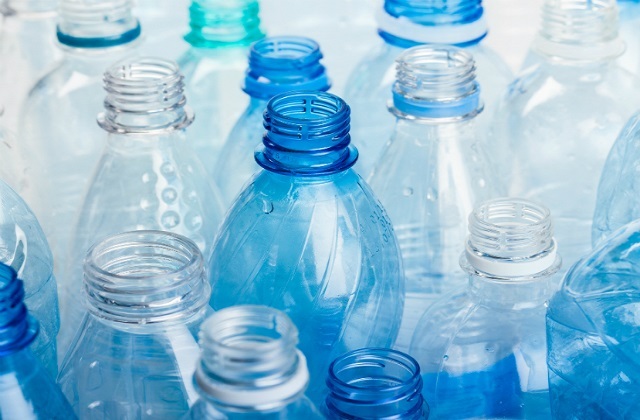 An independent working group has submitted its report to Ministers who will consider the evidence around deposit return (or reward) schemes on plastic bottles and other drinks containers. We’ll announce a decision on next steps in due course. These types of schemes are popular in the Nordic countries and at the end of last year Environment Minister, Thérèse Coffey visited Norway, Sweden and Denmark to find out more about them and how each country operates its systems. The UK is already showing global leadership by committing to reduce plastic waste and is the first country in Europe to ban microbeads. The 25 year environment plan sets out our plans to extend the 5p plastic bag charge, improve recycling rates and explore plastic free aisles in supermarkets. 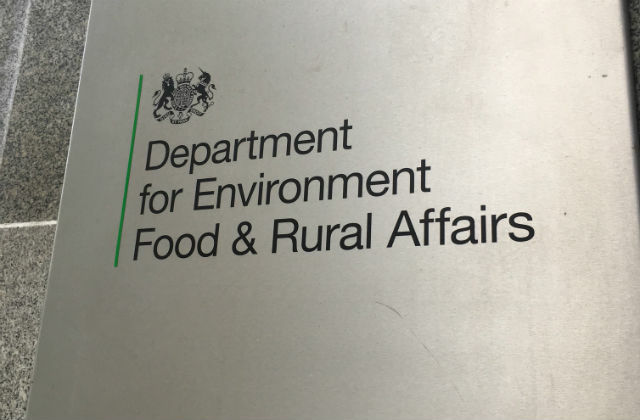 As part of this plan for our Environment, the Government will be working with industry to reform our packaging waste regulations and to incentivise producers to take greater responsibility for the environmental impacts of their products. Today, the statutory welfare code for meat chickens has been updated as part of a programme to safeguard the welfare of animals. Minister for Animal welfare Lord Gardiner said the code was carefully consulted on with industry experts and uses the most recent scientific and veterinary advice to help owners and keepers ensure high welfare standards for their animals. The British Poultry Council have also welcomed this initiative which reflects the high welfare standards applied by British poultry meat farmers, breeders and veterinarians and which is based on the latest scientific developments. Today, 26 March, the Secretary of State accompanied His Royal Highness the Prince of Wales on a visit to Cumbria to mark the Lake District receiving Unesco World Heritage status. It joins the likes of the Grand Canyon, the Taj Mahal and Machu Picchu in being awarded this honour. Prince Charles met with local schoolchildren and Cumbria's new chief constable Michelle Skeer, before unveiling a Unesco plaque in Keswick overlooking Derwent Water. Lord Clark of Windermere, chairman of the Lake District National Park Partnership, said: "This plaque will give local people and visitors a place to come and appreciate not just the spectacular landscape but also the rich, cultural history of the Lake District as a World Heritage Site." 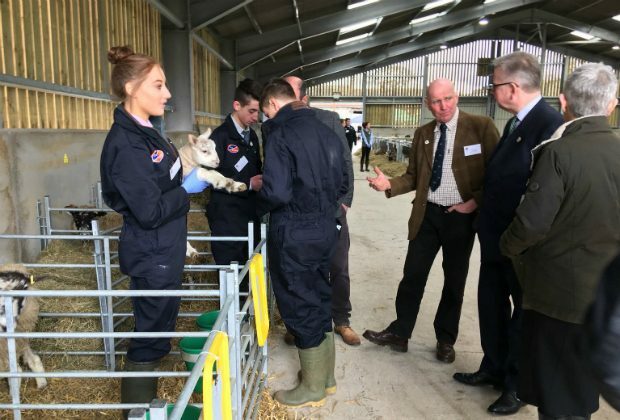 The Secretary of State also met with students and local farmers at the National Centre for the Uplands, established in 2011 to lead training, research and dialogue in hill farming and land management. We have been clear about the importance of having the right support in place for uplands farmers who make an immense contribution to rural life and the maintenance of iconic landscapes.